The range of music reflects the diversity of ancient traditions on this earth and the realisation that, regardless of our different cultures, we all sing the same songs. 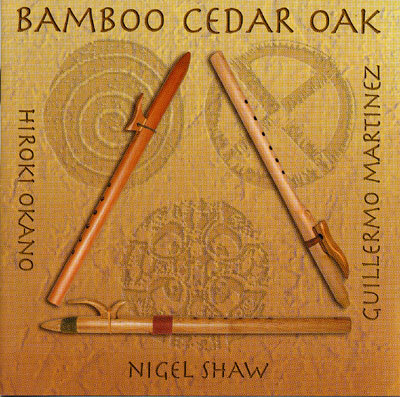 This beautiful and unique new album features Dartmoor composer NIGEL SHAW and two internationally renowned musicians from America and Japan, GUILLERMO MARTINEZ and HIROKI OKANO. Together these three musicians from different corners of the planet have produced a rare and special collection of recordings that evoke a unity of spirit and a global sound. The music moves between gentle flute pieces performed on three Native American flutes, traditional Buddhist and Native American prayers, and powerful drumming chants.